Jeremy Brock MBE is a British writer and director whose works include the screenplays Mrs Brown, Driving Lessons, The Last King of Scotland, Charlotte Gray, and The Eagle. Brock has also written two plays for the Hampstead downstairs theatre. The programme is set in the fictional Holby City Hospital and focuses on the staff and patients of the hospital's Accident and Emergency Department. The show has very few ties to its sister programme Holby City , which began as a spin-off from Casualty in 1999,  set in the same hospital. Casualty is shown weekly on a Saturday evening, which has been its time slot since the early 1990s. In media, a spin-off is a radio program, television program, video game, film, or any narrative work, derived from already existing works that focus on more details and different aspects from the original work. Casualty's exterior shots were mainly filmed outside the Ashley Down Centre in Bristol from 1986 until 2002 when they moved to the centre of Bristol for just over nine years. In 2011, Casualty celebrated its 25th anniversary; following that, for the Bristol finale, they filmed the Emergency department catching fire and subsequently exploding. After 25 years in Bristol, Casualty moved to its new home at the Roath Lock Studios in Cardiff where it is currently filmed. Roath Lock is a television production studio that housed BBC drama productions including Doctor Who. Both Casualty and Pobol y Cwm continue to be filmed here. The centre topped out on 20 February 2011 and filming for such productions commenced in autumn of the same year. The programme has usually been transmitted on Saturday nights, although for a period in the late 1980s and early 1990s it switched to Fridays. The first two series each consisted of 15 episodes; series 3 ran for 10 episodes (although one of those episodes was postponed following the death of its guest star, Roy Kinnear); series 4, 5 and 6 were 12, 13, and 15 episodes long respectively. The final episode of series 6, which focused on a plane crash, was postponed until February 1992, after being initially scheduled for transmission on 20 December 1991 – one day before the 3rd anniversary of the Lockerbie disaster. When the show moved back to Saturday nights in September 1992, the series length was extended to 24 episodes per year, and placed in a pre-watershed slot at approximately 8 pm. This initially caused some controversy due to the graphic and controversial nature of some of the storylines. In 1997-8, the episode number was increased again, with 26 episodes (including two 75-minute specials) making up series 12. Subsequent series each saw an increase in episodes; series 13 ran for 28 episodes, series 14 ran for 30 episodes, series 15 ran for 36 episodes, series 16 and 17 ran for 40 episodes and series 18 ran for 46 episodes. Since 2004, popularity of the show resulted in a switch from a traditional seasonal format (which had progressed from three months in its early years to around seven months by 2001) to an almost year-round production and transmission — each series from series 19 (2004/5) to 25 (2010/11) has lasted for 48 episodes. However, this figure was dropped to 42 for series 26, with no summer break, which was related to production moving from Bristol to Cardiff. Series 27 consists of 44 episodes –an increase of 2 episodes on the previous series and returned to 48 for series 28. In addition, from series 26, the show also began broadcasting in August of their respective years, rather than start in September with a two-week break in late December. Casualty usually runs for 50 minutes between 20:00—22:00 slot on BBC One. Special events such as the Eurovision Song Contest and sporting events sometimes see the schedule moved around. On most of these occasions, Casualty is taken off-air for the night to make way for alternative shows. It has been known in the past that if an episode is in two parts, part one will be aired on the Saturday and part two on Sunday. It is broadcast across Europe via BBC Entertainment on the same date. Casualty follows the professional and personal lives of the medical and ancillary staff of Holby City Hospital's emergency department. It features an ensemble cast of regular characters, and began with ten main characters in its first series. 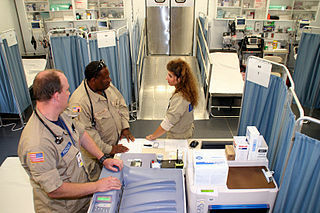 The original characters are consultant Ewart Plimmer (Bernard Gallagher), senior house officer Baz Samuels (Julia Watson), charge nurse Charlie Fairhead (Derek Thompson), staff nurse Clive King (George Harris), state enrolled nurse Megan Roach (Brenda Fricker), student nurse Lisa "Duffy" Duffin (Cathy Shipton), paramedics Sandra Mute and Andrew Ponting (Lisa Bowerman and Robert Pugh), receptionist Susie Mercier (Debbie Roza) and porter Kuba Trzcinski (Christopher Rozycki). A survey published by Radio Times magazine in March 2004 revealed that Casualty has featured more future stars than any other UK soap or drama series. Actors who appeared in the show prior to becoming famous include Kate Winslet, Orlando Bloom, Minnie Driver, Christopher Eccleston, Tom Hiddleston, Ashley Artus  , Parminder Nagra, Sadie Frost, Ray Winstone, David Walliams, Jonny Lee Miller, Martin Freeman, Helen Baxendale, Robson Green, and Brenda Fricker. Discussing her 1993 appearance in Casualty, Winslet told the Radio Times: "In England, it almost seems to be part of a jobbing actor's training [to appear in Casualty]. As far as I was concerned it was a great episode, a great part. Appearing in Casualty taught me a big lesson in how to be natural in front of the camera." In addition, the series has featured a variety of more established stars, including Norman Wisdom, Amanda Redman, Anita Dobson, Jenny Seagrove, Rula Lenska, Prunella Scales,  Celia Imrie,  Toyah Willcox, Maureen Lipman,  Frances Barber, Andrew Sachs,  Russ Abbot, Stephanie Beacham,  Honor Blackman and Michelle Collins in cameo roles. From Episode 13, which aired on 17th November 2018, new titles were used. The theme tune remained the same. The original closing credit music was known for being slightly different from its opening music. It was originally over one minute in length and over the years was shortened. The original music also had a lead in, known for being haunting and emotional. At the beginning it was not used in every episode. Between series 1–9, it was only used during emotional endings, for example when Duffy was raped and Sandra Mute being killed off. Between series 9–12, it was mainly used to close every episode. In September 1998, the closing theme was moved up a semitone, making the tune even more haunting. The end theme was reduced further in 2000 to go with BBC guidelines. Usage of this tune ended with series 15 in April 2001. When the theme tune was updated in 2001, the closing credit music was a shortened version of the opening music. The main change was the lead-in music: two versions were used in the twelve years. Series 21 saw the theme tune being changed for a single series; it was made orchestral and only lasted one series. When Adam left the series at the end of series 25, a sad piano-based version was used. It has only ever been used on that one occasion. When the series returned in 2014 after the Christmas break, the theme tune had received a revamp, more akin to the original. The closing credits had been slightly extended with sections from the original end theme returning, for example the final end notes. The end lead in music, a short emotional piece building up to the credits, harked back to the original music which was used between series 1–15. There were a few variations used in episodes between 2014 and 2016. An emotional version using strings and violin, A version using trumpet and beeps and a much basic sounding version just using beeps, those that sound like medical machinery. This package was used mostly until towards the end of Series 30 when a new package was slowly introduced. The original pack is still used occasionally. Towards the end of series 30, a new package slowly introduced itself. The introduction of piano replaced the "medical/beeps" that had been heard. Again this package includes, an emotional build up (Connie breaks down after Hugo leaves with his father), a dramatic heartbeat build (Gemma stands in shock after running Lily over), a simple piano build up (Cal finds a cufflink, not his), and a romantic version (Ethan tells Alicia that he loves her at Christmas). There has also been a version based on the actual theme tune. Episode 1 of series 31, and episode 15 featured incidental music. Earlier series of Casualty experimented with incidental music but very rarely. Episodes 1 and 2 of the 32nd series also featured a score by the series composer Jeremy Holland-Smith. A slower emotional version of the main theme was created for scenes, normally scenes ending an episode. It was first used when Tess left towards the end of Series 29. It was also used a few times during Series 30, episode 21 when Dixie left, and episode 42 as Rita bids an emotional farewell to Charlie. Series 31 saw the theme come into play again during episode 8 when Glen jilts Robyn. Episode 21 saw a slightly different way of using this music, it was played over a scene as Charlie marries longtime friend Duffy. Episode 2 of Series 32 saw the music return once again as Jez leaves Holby for a fresh start with his boyfriend Mickey after a long running storyline climax, whilst the music continues into the final scene with Dylan asking why David helped him smuggle Sanosi into the UK. He replies with "Because you're my friend." It has been used six times since its introduction in August 2015, with minor changes throughout. All episodes from series 29, series 30 and episodes of series 31 that have been broadcast were made available to purchase and stream from the BBC Store. To coincide with Casualty's 30 year anniversary, the BBC Store released a collection of 14 classic episodes. The collection named Casualty: Spot the Star contained episodes featuring acting stars early on in their careers. The episodes which were available in this collection are shown below. With the closure of the BBC Store on 1st November 2017 all previously released episodes are again unavailable. Holby City began on 12 January 1999 as a spin-off from Casualty and is named after the fictional Holby City Hospital in which both series are set. The show follows the lives and careers of staff and patients on the surgical wards of the hospital, and deals with a range of clinical and ethical issues. Similarly to Casualty, the regular characters are all surgeons, nurses and other medical and ancillary staff, with patients played by guest actors, including famous names such as Eric Sykes, Phill Jupitus, Michael Jayston, Michele Dotrice, Ronni Ancona, Emma Samms, Lee Ryan, Nikki Sanderson and Johnny Briggs. The show was created by Mal Young and Tony McHale, who became its executive producer between 2007 and 2010. He was succeeded by Casualty executive producer Belinda Campbell. In 2007, Casualty won its first major award, the BAFTA for the best continuing drama. Long-serving Ian Bleasdale, who played paramedic Josh Griffiths, accepted the award at the ceremony, which took place at the London Palladium. He said "To the doctors, nurses and ambulance crews, thank you for doing the job you do. I hope we go some way to showing exactly what it is," and dedicated the award to the show's original producer, Geraint Morris, who died in 1997. The cast of the show released the single "Everlasting Love", which peaked at No. 5 in the UK in 1998. On 5 January 2010, it was announced that Casualty had been nominated for the 'Best Drama' award at the National Television Awards, receiving in the same category in 2016 before winning in 2017 (beating Game of Thrones , Cold Feet , The Night Manager and Happy Valley . Since its inception, Casualty has won and been nominated for the following awards (excluding longlisted nominations). Casualty@Holby City (styled as CASUAL+Y @ HOLBY CI+Y) is a series of special crossover episodes of BBC medical dramas Casualty and Holby City. While Casualty was launched on 6 September 1986, and its spin-off Holby City was first aired on 12 January 1999, the first full crossover episode between the two programmes was not broadcast until 26 December 2004. As of 27 December 2005, four crossover specials have been aired, comprising nine episodes total. Although further crossovers of storylines and characters have since occurred, they have not been broadcast under the Casualty@Holby City title. The twelfth series of the British medical drama television series Holby City commenced airing in the United Kingdom on BBC One on 20 October 2009. The series deals with the repercussions of the death of ward sister Faye Byrne's son Archie, including the resignation of consultant Connie Beauchamp and the return of former registrar Thandie Abebe-Griffin. It also focuses on staff members' romantic and family lives. F1 Oliver Valentine becomes romantically involved with registrar Jac Naylor and ward sister Daisha Anderson, and his sister Penny embarks on a secret romance with a heart transplant patient. Consultant Linden Cullen is reunited with his estranged daughter Holly, nurse Donna Jackson decides to adopt her half-niece Mia, sister Chrissie Williams gives birth to a son, Daniel, and Faye becomes pregnant by her estranged husband Joseph. The series includes a crossover episode with sister show Casualty and it also has the highest number of episodes to date, as the series contains a small number of episodes which air during the same week. The twenty-fifth series of the British medical drama television series Casualty commenced airing in the United Kingdom on BBC One on 4 September 2010 and concluded on 6 August 2011. The series featured several crossovers with spin-off show Holby City. 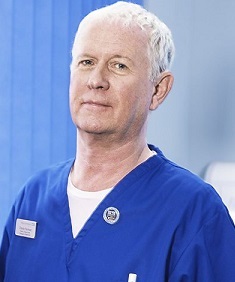 Charlie Fairhead, played by Derek Thompson, is a fictional character from the BBC British medical drama Casualty. He is the longest-serving character having played the role of Charlie for over 30 years and the only remaining original character to have appeared continuously since the first episode on 6 September 1986. Thompson chose to take a nine-month break from the show in early 2004. Charlie left the show in series 18 on 17 July 2004 and after five months, returned on 1 January 2005 in series 19. At the end of series 19, Charlie left again as Thompson returned to his break from the show, with Charlie's exit scenes airing on 20 August 2005. After four months off-screen, Charlie returned in the series 20 Christmas crossover with Holby City, which aired on 24 December 2005. Thompson has remained with the show since, but regularly takes breaks of around two months every year. The thirty-first series of the British medical drama television series Casualty commenced airing on BBC One in the United Kingdom on 27 August 2016, and concluded on 29 July 2017. The series consisted of 44 episodes, including the show's feature-length thirtieth anniversary special episode, "Too Old for This Shift". Erika Hossington continued her role as series producer, while Oliver Kent continued his role as the show's executive producer until the end of the series. Seventeen cast members reprised their roles from the previous series with original character Lisa "Duffy" Duffin returning to the series as part of the show's thirtieth anniversary. Rik Makarem appeared in the series between October 2016 and January 2017 as first year foundation doctor (F1) Sebastian Grayling. This series also featured the death of regular character Caleb Knight, who has appeared since series 28. "Too Old for This Shift" is a special feature-length episode of the British medical drama television series Casualty. It was broadcast as the premiere episode of its thirty-first series on 27 August 2016, on BBC One, to commemorate the 30th anniversary of the show. The special, which is 99 minutes long, was co-written by Matthew Barry and Andy Bayliss, directed by Steve Hughes, and produced by Lucy Raffety. The thirty-second series of the British medical drama television series Casualty began airing on BBC One in the United Kingdom on 19 August 2017, and concluded on 4 August 2018. The series consisted of 44 episodes. Erika Hossington continued her role as series producer, however, following her resignation in August 2017, was replaced by Lucy Raffety. Simon Harper began his role as the show's executive producer. Twenty cast members reprised their roles from the previous series. Lloyd Everitt, Crystal Yu, Jamie Davis left their respective roles during the series, while Charlotte Salt reprised her role as Sam Nicholls from episode five onwards. Four new cast members also joined the drama in series 32. The series opened with a two-parter special set in northern France, which was followed by an extended 70-minute special episode. The thirty-third series of the British medical drama television series Casualty began airing on BBC One in the United Kingdom on 11 August 2018, one week after the end of the previous series. The series will consist of 47 episodes. Lucy Raffety continues her role as series producer, while Simon Harper continues his role as the show's executive producer. Sixteen regular cast members reprised their roles from the previous series. The series, which is billed as "The Year of the Paramedic", begins with a motorway collision stunt sequence, and features a crossover episode with spin-off series, Holby City. Charlotte Salt, Chelsea Halfpenny and Azuka Oforka departed their roles as Sam Nicholls, Alicia Munroe and Louise Tyler during the series, while four actors joined the regular cast. ↑ "YouTube – BBC1 schedule changes due to the Queen Mother's death". BBCTV Continuity. Retrieved 28 June 2016. ↑ "BBC One – Casualty". BBC . Retrieved 17 August 2015. ↑ "'Casualty' enters Guinness World Records". Digital Spy . Hearst Magazines UK. 16 September 2010. Retrieved 12 January 2015. ↑ "Longest-running TV medical drama". Guinness World Records . Retrieved 12 January 2015. ↑ Hayward, Anthony (15 July 1997). "Obituary: Geraint Morris". The Independent . Retrieved 17 August 2015. ↑ Gibbs, Nicholas. Writing Television Drama: Get Your Scripts Commissioned, Teach Yourself. ↑ "BBC One – Casualty". Radio Times . Retrieved 25 June 2016. ↑ "Casualty to broadcast special 'one take' episode for tonight's series finale". 29 July 2017. ↑ Unwin, Paul; Brock, Jeremy (7 September 2011). "25 years strong: the idea that defined Casualty". BBC . Retrieved 17 August 2015. ↑ From EastEnders to Hollywood: Antonia Bird , BBC Four, 26 May 2016. ↑ Kempster, Doug (13 September 1998). "Soap stars find a new role ... In the Beeb's latest soap". Sunday Mirror . Trinity Mirror . Retrieved 12 January 2010. ↑ "Casualty — Fast Facts". BBC Online . Retrieved 17 November 2007. ↑ Sayle, Alexei (21 August 2001). "Alexei Sayle: I'd love to live in Holby City – nothing like the real world". The Independent . London: Independent News & Media . Retrieved 5 March 2010. ↑ "Filming locations". IMDb . Retrieved 17 August 2015. ↑ "Standing sets". British Film Locations. Retrieved 17 August 2015. ↑ "Cotswold filming locations". Cotswald info. Retrieved 17 August 2015. ↑ "Press Office — BBC confirms Casualty move from Bristol to Cardiff area". BBC. Retrieved 26 March 2009. ↑ "Roath Lock Studios – Casualty". BBC Wales. Archived from the original on 11 September 2011. Retrieved 12 September 2011. ↑ Lambert, Doug (13 December 2011). "First Cardiff produced Casualty episode to air in January". ATV Today. Retrieved 17 August 2015. ↑ "Duty of Care". BBC . Retrieved 17 August 2015. ↑ Grimshaw, Emma (10 May 2018). "If you heard a loud bang last night - this is why". ↑ "Casualty | Series 7". holby.tv. Archived from the original on 4 June 2009. Retrieved 2 March 2009. ↑ "Casualty Series 26". BBC . Retrieved 23 July 2012. ↑ "Casualty Series 27". BBC . Retrieved 19 August 2012. ↑ "Casualty Series 28". BBC . Retrieved 27 July 2013. ↑ "Characters". BBC Online . BBC . Retrieved 12 April 2018. 1 2 3 "Casualty tops future stars league". bbc.co.uk . BBC. 15 March 2004. Retrieved 10 January 2009. ↑ "Casualty (BBC TV Series)". www.bbc.co.uk. ↑ "Casualty — famous faces". Radio Times. Archived from the original on 19 April 2009. Retrieved 3 July 2009. ↑ "Series 9 | S9 E15". holby.tv. Archived from the original on 5 June 2009. Retrieved 3 July 2009. ↑ "Casualty — Behind Closed Doors (Season 22 Episode 15)". LocateTV. Archived from the original on 24 February 2012. Retrieved 3 July 2009. ↑ "Press Office — Network TV Programme Information BBC ONE Weeks 52/53". BBC. Retrieved 3 July 2009. ↑ Sophie Skelton (3 February 2010). "Celebrity Big Brother star Stephanie Beacham comes a cropper in her guest role in Casualty". mirror.co.uk. Retrieved 9 May 2010. ↑ "BBC Casualty Series 30 special opening titles" . Retrieved 2 January 2017. ↑ "BBC Casualty 1995 opening titles" . Retrieved 2 January 2017. ↑ "BBC Casualty 1998 opening titles" . Retrieved 2 January 2017. ↑ "BBC Casualty 2000 opening titles" . Retrieved 2 January 2017. ↑ "BBC Casualty 2002 opening titles" . Retrieved 2 January 2017. ↑ "BBC Casualty 2006 opening titles". Hello Charlie. Retrieved 2 January 2017. ↑ "BBC Casualty 2012 opening titles". Giggle Media. 12 June 2012. Retrieved 2 January 2017. ↑ Peter Anderson Studios. "BBC Casualty 2014 opening titles". YouTube . Retrieved 2 January 2017. ↑ "BBC Casualty 2016 opening titles". Peter Anderson Studios. Retrieved 2 January 2017. ↑ "Casualty – Series 1 DVD 1986". amazon.co.uk. 10 April 2006. Retrieved 12 January 2014. ↑ "Casualty – Series 1". JB Hi-Fi . Retrieved 12 January 2014. ↑ "Casualty – Series 2 DVD 1986". amazon.co.uk. 10 July 2006. Retrieved 12 January 2014. ↑ "Casualty – Series 3 DVD". amazon.co.uk. 11 September 2006. Retrieved 12 January 2014. ↑ "Guest Stars — Holby City". Holby.tv Database. Archived from the original on 27 October 2007. Retrieved 17 November 2007. ↑ Plunkett, John (27 April 2006). "Holby City walks the thin blue line". The Guardian . London: Guardian Media Group . Retrieved 12 January 2010. ↑ "Crossover Interview". BBC Online. December 2004. Retrieved 14 September 2007. ↑ "TV drama in North Wales tunnel". The Daily Post . Liverpool, England. 23 December 2005. ↑ "Jim Shelley Goes For The Jugular 03/01/2006". The Daily Mirror. 3 January 2006. Archived from the original on 1 December 2008. Retrieved 10 September 2007. ↑ "Crossover Interview". BBC.co.uk. December 2005. Retrieved 14 September 2007. ↑ "Ask the BOSS!". Inside Soap . November 2007. p. 40. ↑ Green, Kris (5 June 2009). "'Casualty', 'Holby City' crossover planned". Digital Spy . Retrieved 4 March 2010. ↑ John Plunkett (27 April 2006). "Holby City walks the thin blue line". London: The Guardian. Retrieved 18 November 2007. ↑ Kris Green (14 November 2007). "'HolbyBlue' returns with crossover ep". Digital Spy . Retrieved 18 November 2007. ↑ "BBC axes police drama Holby Blue". BBC. 6 August 2008. Retrieved 21 February 2009. ↑ Caitlan Moran (4 December 2006). "The good old days of Casualty. Or not ..." London: The Times. Retrieved 26 March 2008. ↑ Ben Dowell (19 February 2007). "Casualty 1906 to become series". London: Guardian. Retrieved 26 March 2008. ↑ Barber, Richard (10 October 2008). "Cherie Lunghi — Strictly single and loving it". London: Daily Mail. ↑ "Television — News — BBC One to screen 'Casualty 1909'". Digital Spy. 25 March 2009. Retrieved 25 March 2009. 1 2 3 4 5 6 7 8 9 Robinson, Abby (29 November 2018). "The Digital Spy Reader Awards 2018: Vote now for your Soap favourites of the year!". Digital Spy . Hearst Magazines UK . Retrieved 1 December 2018. ↑ Lee, Ben (4 April 2018). "EastEnders snubbed after missing out on BAFTA TV awards nomination". Digital Spy . Retrieved 4 April 2018. ↑ Sandwell, Ian (13 May 2018). "Here's the complete list of BAFTA Television Awards 2018 winners". Digital Spy . Retrieved 13 May 2018. ↑ "Best soap or continuing drama: Hollyoaks". Broadcast Now . 7 February 2018. Retrieved 12 February 2018. 1 2 Harp, Justin (22 August 2017). "Coronation Street, EastEnders, Emmerdale and Hollyoaks all make the Inside Soap Awards longlist". Digital Spy . Hearst Magazines UK . Retrieved 21 August 2017. 1 2 Kilkelly, Daniel (31 October 2017). "Inside Soap Awards 2017 shortlist revealed – which Corrie, EastEnders, Emmerdale and Hollyoaks stars are up for prizes?". Digital Spy . Hearst Magazines UK . Retrieved 31 October 2017. 1 2 Dainty, Sophie (6 November 2017). "Emmerdale wins best soap at the Inside Soap Awards for the third year running". Digital Spy . Hearst Magazines UK . Retrieved 6 November 2017. ↑ "Sexual health media campaign/storyline of the year". Brook. Retrieved 21 January 2015. ↑ "Vote for the Radio Times Creative Diversity Network Soap Award". Radio Times . Retrieved 22 January 2015. ↑ "CDN Awards". CDN. Retrieved 22 January 2015. Wikimedia Commons has media related to Casualty (TV series) .